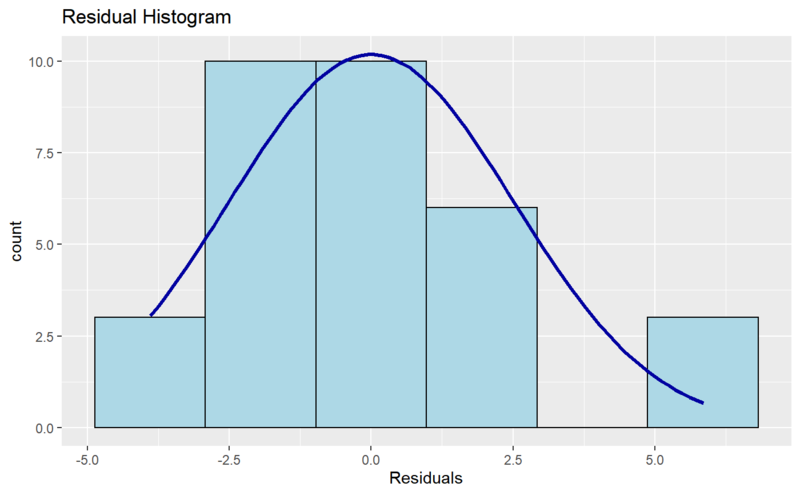 Histogram of residuals for detecting violation of normality assumption. ols_rsd_hist() has been deprecated. Instead use ols_plot_resid_hist().